As I think about cold winter weather, I always remember that there is a population of homeless people who are truly at risk when exposed to the elements. With much of the U.S. facing another round of unusually cold temperatures (even for January) I'd like to share some of the ways that people are finding to help. One of the most basic things groups are doing to help the homeless is giving homelessness a face -- getting personal. Invisible People was started by Mark Horvath to let the homeless tell their own stories. Mark knows both sides of the problem. As a successful professional, he knows how upsetting it is to look at people who lack even the basic human needs when you pass them on the street. If we think there is nothing we can do, we ignore them and they become "invisible." But as someone who has also been homeless, Mark is taking his personal experiences and using them to combat the problem. "The invisible guy didn't intend to become homeless. I didn't plan on living on the street. Everyone on the streets has their own story, some made bad decisions, others were victims, but none of them deserve what they have been left with, and it is a reflection of our own society that we just leave them there." By letting people tell their own stories to the camera, Mark hopes to change the community perspective on who those people really are. Invisible People isn't the only group to take this approach. Rethink Homelessness recently published this powerful video, showing the changing face of the homeless. The 'chronic' homeless, those that come to mind with drug issues or mental illness are really only about 20% of those on the streets. Many people on the street nowadays are educated and sober, having faced a crisis in their lives that caused them to lose their homes. Some of them simply have jobs that don't quite cover the cost of living in their area. Veronika Scott's personal experience with one of those "invisible people" made her rethink her plans for a business. Her design class assignment was to create something that would really fill a need, so she designed a coat that also doubles as a sleeping bag for the Detroit homeless population. She took the coat around to a local shelter...and got screamed at. A homeless woman told her, " We don't need coats ... we need jobs." And Scott realized the truth in that statement. Scott's company The Empowerment Plan still makes the special coats, but she exclusively hires single parents to make them. Many are homeless or previously homeless; others needed an opportunity to escape other dire circumstances like prostitution. Scott says. "Because I found the right people, they prove that this model can exist, and that it works, and that my idea isn't just a nice idea." The Empowerment Plan website has many wonderful stories of those who work there and how they have turned their lives around. Somehow the personal touch seems to make all the difference. HandUp founded by Rose Broome and Zac Witte, combines personal stories with the power of crowdsourcing to help people change their lives. Their website features people who are looking for specific help that will enable them to make a sustainable change in their life, or help them over a rough patch so they don't become - or remain - homeless. HandUp works through partner organizations. 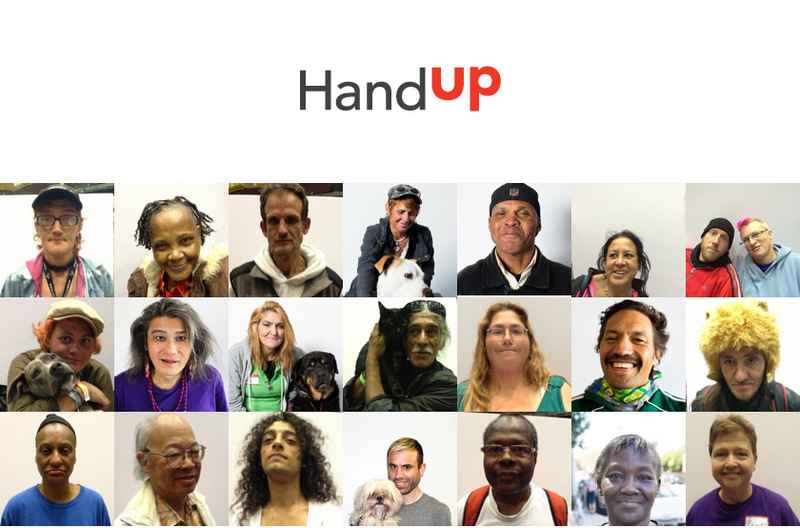 "These partners sign up their homeless and at-risk clients to become HandUp members, then help them redeem their HandUp donations for basic needs. They also connect HandUp members to other available resources such as food stamps, general assistance, and housing workshops." Doniece Sandoval originally had an idea similar to HandUp, but since that organization was already doing such a good job, she moved on to another idea she wanted to make a reality. She founded LavaMae. 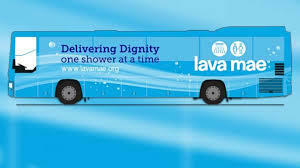 Using a beautiful retrofitted bus, LavaMae is an initiative to provide showers and toilets to those living on the streets in San Francisco. The bus is mobile and travels to areas of the city where people are most in need. Is there anything more basic or more personal than access to sanitation? "We're finding some of the people we service have jobs but they can't afford housing and cannot get into a shelter, so they're living in cars or on the streets," she said. "In order to keep their jobs, they have to stay clean, so the gratitude we see from these people is just overwhelming and humbling." They recently ran a very successful Indiegogo campaign to raise the money for a second bus and they are partnering with other organizations to expand further. What's amazing about helping is you never know what might come out of it. For five months, on his way to and from work, NY data engineer Patrick McConologue passed by homeless Leo Grand. One day Patrick offered Leo a choice, $100 cash, or programming lessons. Leo took the lessons, working on a laptop Patrick provided. 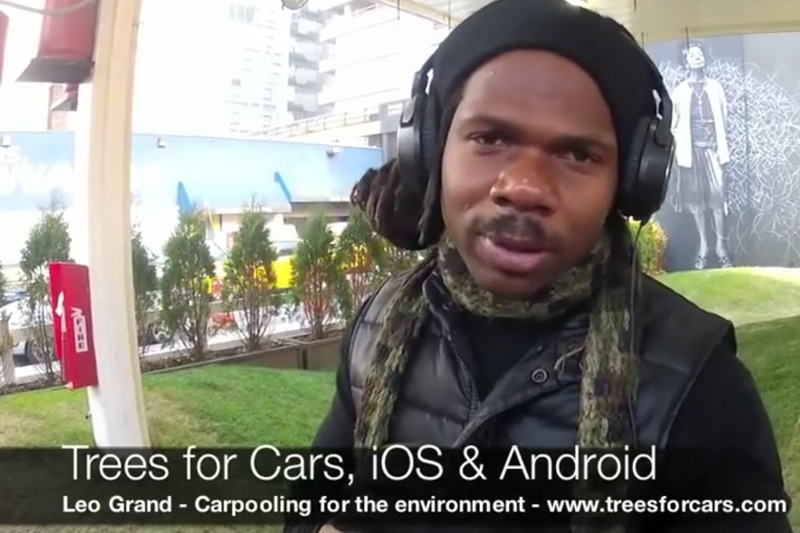 After only a few weeks, Leo developed his own app, "Trees for Cars." It turns out Leo is an avid environmentalist. 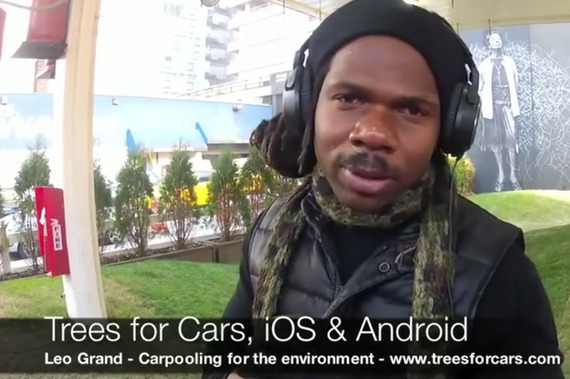 "Trees for Cars is a mobile carpooling app that connects drivers and riders. Every car on the road contributes to pollution by emitting CO2. By using Trees for Cars to find rides in your area, you'll be helping the environment because more carpooling means fewer cars on the road." The app is available for download and the money it raises will enable Leo Grand to get himself off the streets.